I have always seen the four-doored coupe as a sacrilegious necessity, and one our current generation could do with. 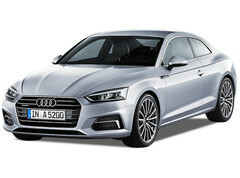 Perhaps the four-doored coupe will kill off some sedans in the near future, by taking over their nameplate instead of manufacturers fielding two cars which quite almost sit within the same box. But the purposes of vanity has it that most of us love to have the best of both worlds, and in some cases the best of everything. 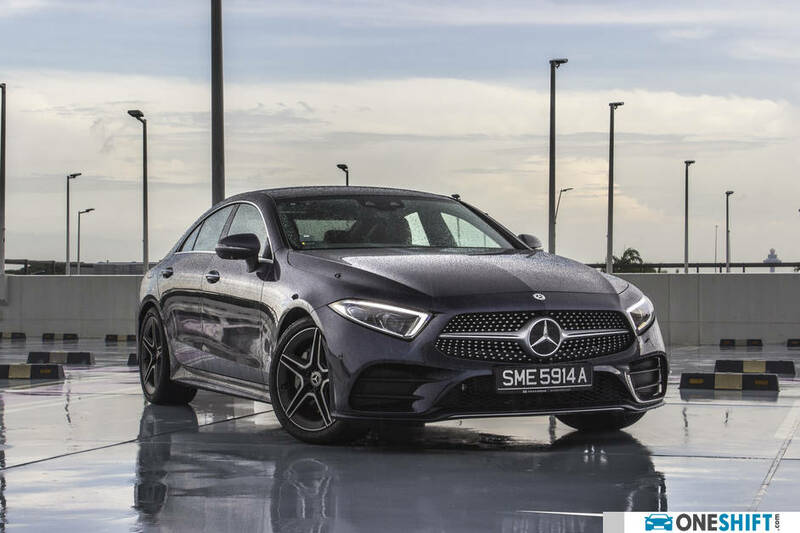 That is the case with the new Mercedes-Benz CLS, in-fact the first CLS was the car that went against the grain to begin the trend of the four-doored coupe. 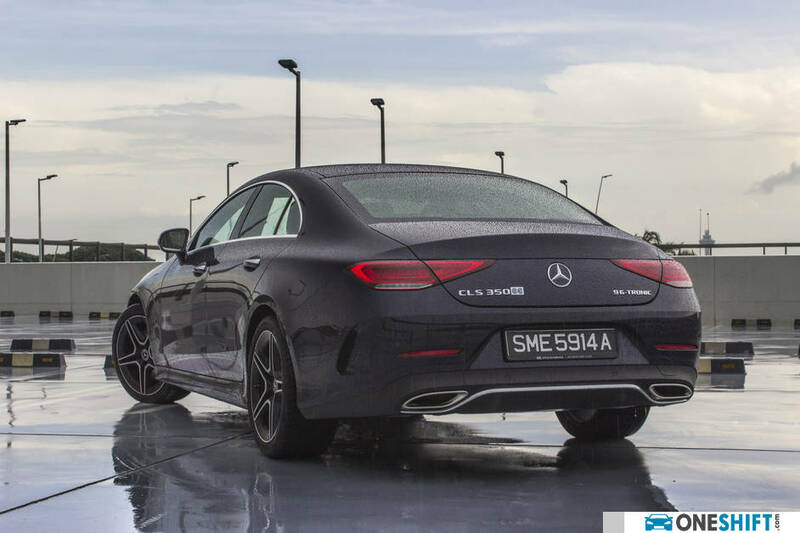 But sacrilegious as it may be, the new smoothly-styled CLS is truly one of the more striking of designs we have recently seen from the brand. 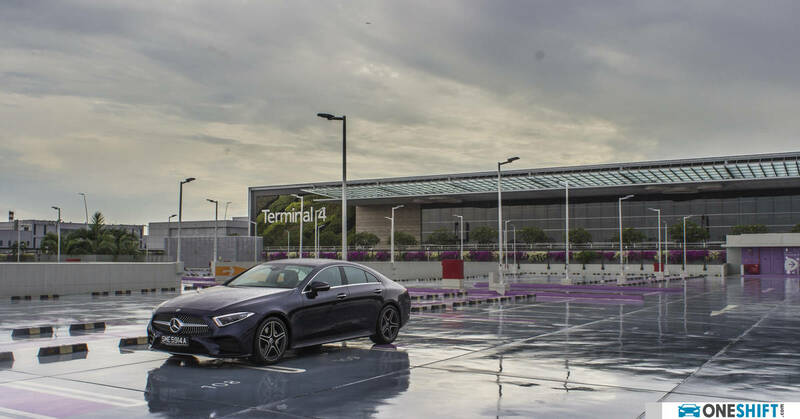 It does feel like an all-new team had handled job of producing this current CLS model, as the car’s lines convey a freshness not seen in the previous two cars. 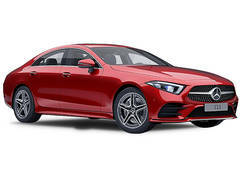 The third generation car loses those bulgy wheel arches, found on the previous W218, and projects a mean-looking face, complete with their now-popular diamond grille, which widens slightly at the base, to hint of the AMG GT; reflecting the new design language, which is also pen-stroked into the new A-Class. Sculpting on the side of the car has also been further toned down, with a reduction of the clutter of lines, and just one easily noticeable upward sweep pressed into the sheet metal; while a pair of reassuring shoulders provides more visual girth, and takes the place of any would-be flared wheel arch work. 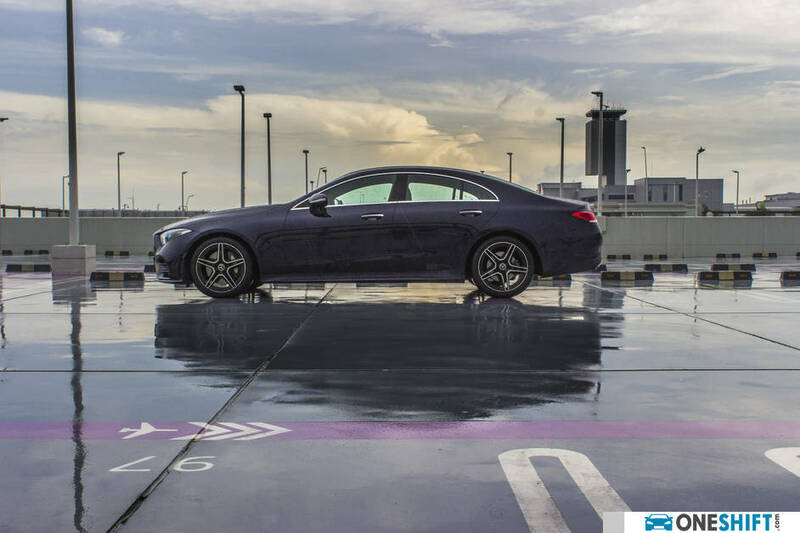 There is a little bit of visual trickery here in keeping the CLS looking sleek, with the car’s sloping roofline, which pulls away from the rear door apertures, helping to ensure sufficient headroom for rear passengers. 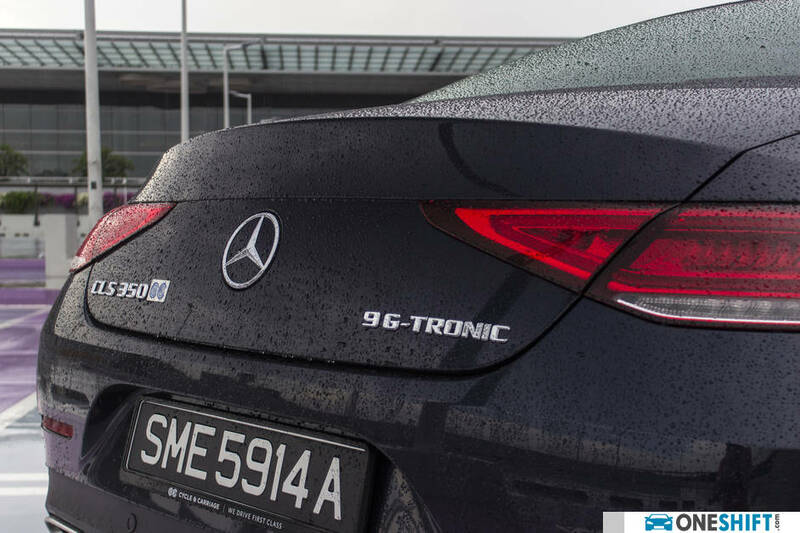 At the rear, there is a treat of sharper lines and angular-sculpted LED tail lamps. Gone too is the saggy appearance, which plagued the previous two cars. 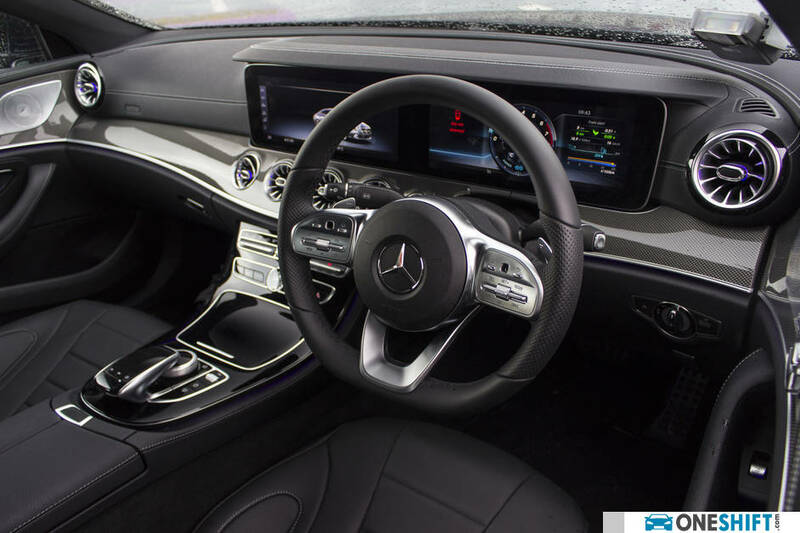 Constant with most new “Mercs” the CLS also features its “snowboard” style instrument panel, which in essence houses two 12.3” colour displays, one which functions as the instrument cluster, while the other does the job of being the infotainment display. The centre console is available in open-pored or high gloss wood trim, and in the case of our test car, glossy carbon fibre. A ambient strip of lighting with a selection of 64 colours complements the dash, and breaks it into upper and lower segments, with the jet aircraft turbine-inspired air-conditioning vents also getting the same ambient lighting treatment… very pretty. Behind the driver’s seat, the fully digitised instrument cluster offers up three display modes in ‘Classic’, ‘Sport’ and our personal favourite, ‘Progressive’ which features an all-encompassing singular dial, leaving the left and right flanks open to display other bits of crucial information. The multifunctional steering wheel features a good number of rocker switches and buttons, complete with two touch control buttons, allowing users scrolling abilities. Also inclusive, is a 13-speaker Burmester audio package, which offers rich sound, with some of the speakers hidden behind beautifully cut metal covers, sited on the door cards. 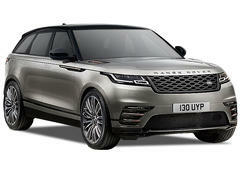 Toggled from the infotainment system, their Energizing comfort control works anything from interior lighting, inclusive of musical moods, fragrancing of the air-conditioning to the ventilation of seats. 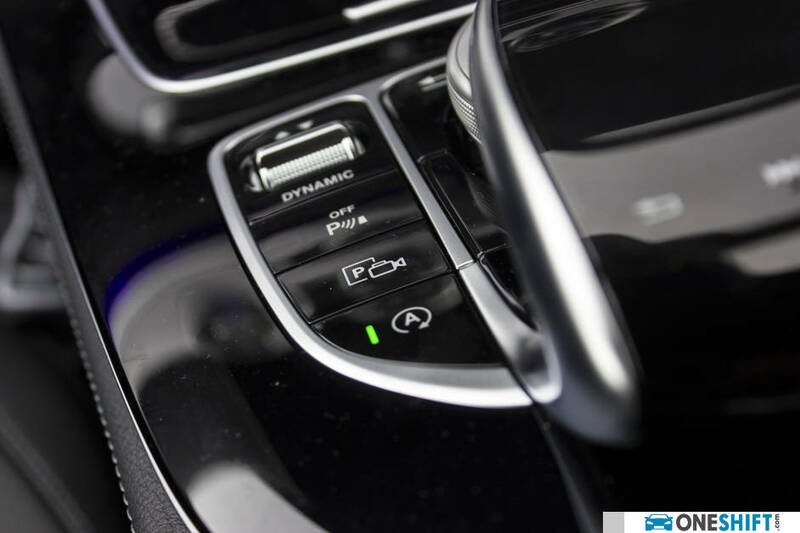 Voice control has also been further extended to accommodate many of the Energizing comfort control functions. 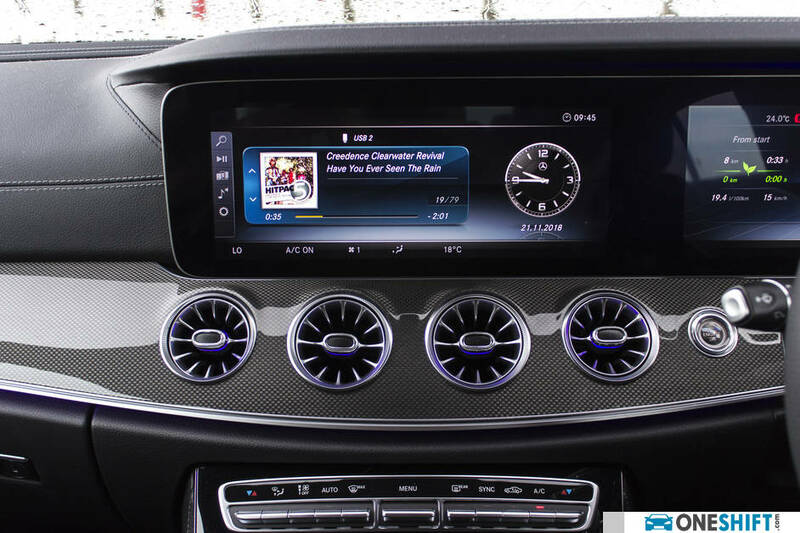 There is one constant bugbear with most Mercedes-Benz cars, and that would be the touchpad in the centre console, while it may be in an ideal place, but its height visually blocks the menu buttons on the opposite side of the panel, something which has been seemingly solved in the new A-Class, by producing a flatter touchpad. Passenger room in the car is very good. 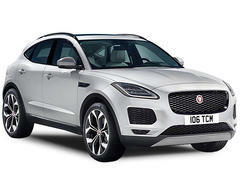 Despite its coupe-like styling, headroom at the rear is very decent, thanks to the high-enough roof. The new CLS is now able to house five passengers, though the car suits four at best. 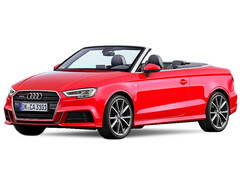 Front and rear passengers benefit from bucket-style seats to better hold behinds in-place. 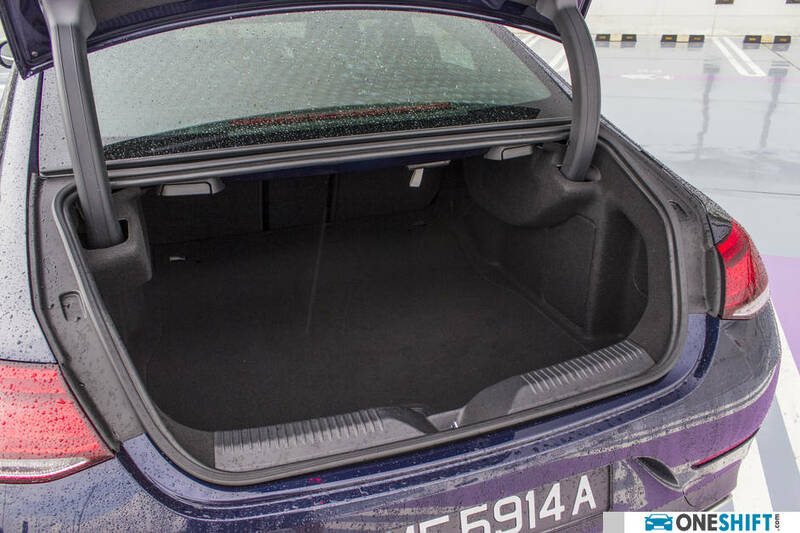 Cargo room, even for its body shape is quite the generous 490 litres, and rear seats do fold in 40:20:40 fashion for added flexibility. 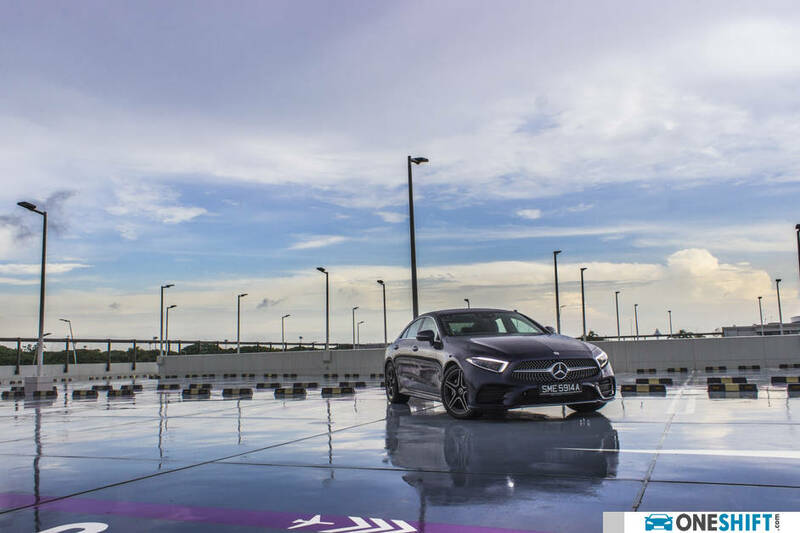 Our test car’s inline four turbocharged 2.0 delivers peak 299hp at 5,800rpm, and benefits from the EQ Boost, mild hybrid system which is available on all CLS models here. 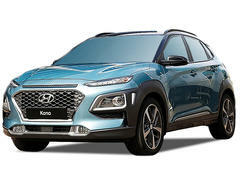 The 48-volt system theoretically adds another 14hp to the output of the car, and mainly assists in taking off and when “gliding”, by way of an integrated electric motor, ensuring better fuel efficiency and performance. With 400Nm from 3,000 to 4,000rpm on on tap, acceleration is brisk, with the needle hitting 100km/h in 6 seconds. 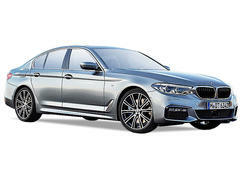 Drive to the rear wheels is through a 9G-TRONIC automatic transmission. 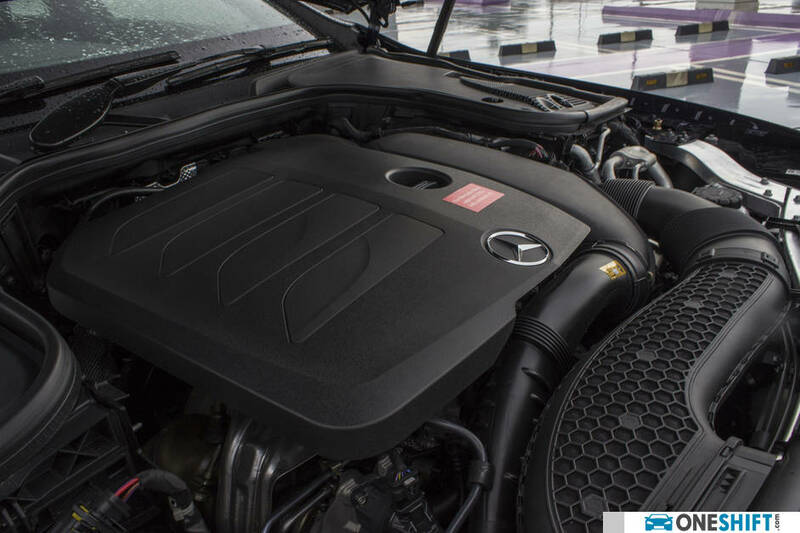 While delivery of performance meets the expectations of its 350 badging, there is no hiding the fact that the engine is a four-cylinder. 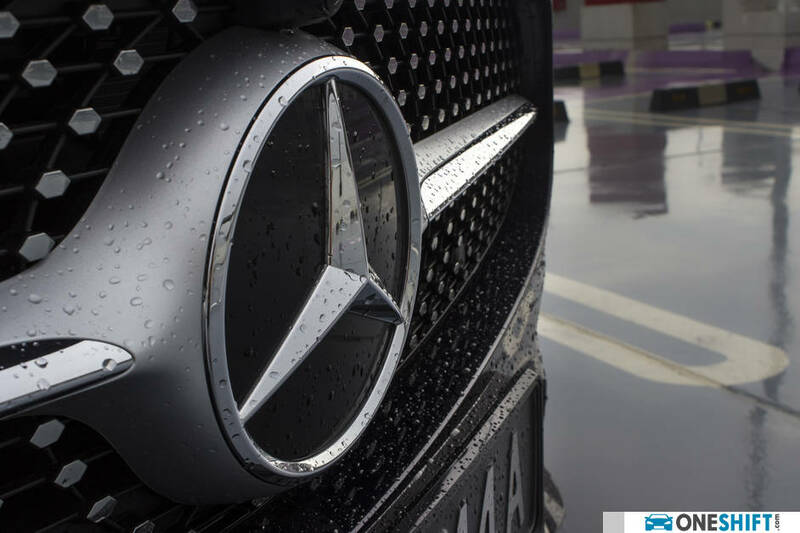 You can hear the engine’s roughness under hard acceleration, which does take away some of that smooth classy magic that the car has an overall feel of (that is, if you do not compare it to the ride the related E-Class will give). 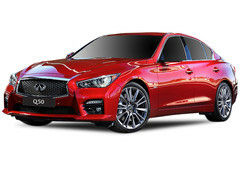 In Sport or Sport+ mode, there is more throttle response, and the Agility Control suspension takes on firmer characteristics, while lowering the car by 15mm for added stability. 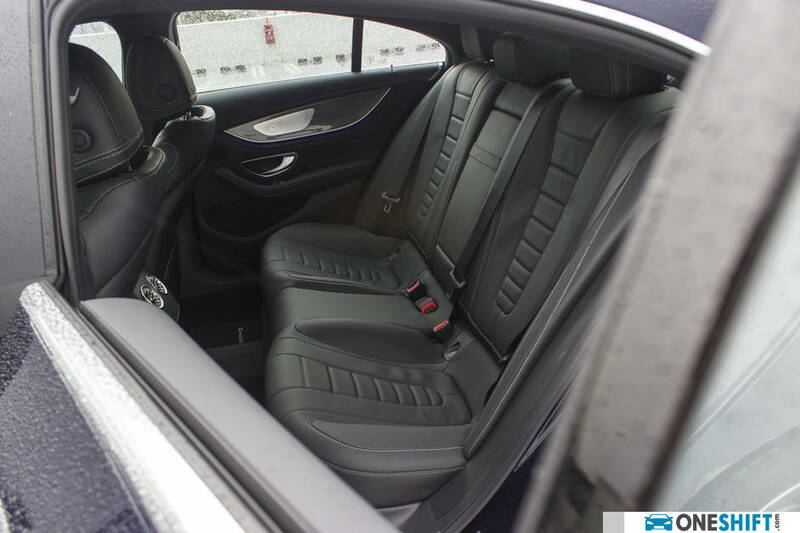 At 1,775kg, the CLS does port around quite a bit of car, and you can feel this, especially when the car hangs around the bends, you are able to notice the shift in weight as the car transfers from corner to corner. 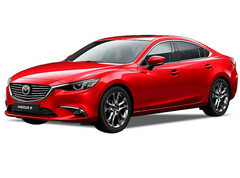 That said, the 350 feels planted, and the four-cylinder up front also plays a part in ensuring a nimble drive, compared to its higher-powered siblings with more weight due to their larger engines. Safety too is high up on the design brief, with a good mix of active and passive features. Blind Spot Assist, which alerts you when there is a vehicle within the blind area beside your vehicle and Adaptive Highbeam Assist Plus, which allows you to drive in full confidence, with a longer throw of its light, while individual LEDs knock off when a vehicle or pedestrian is detected within its field. 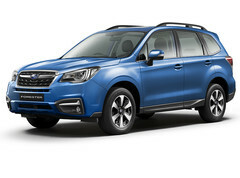 Adding to the list of passive safety features are its active bonnet for pedestrian protection, while a comprehensive array of airbags aids in ensuring optimum mitigation during an accident. 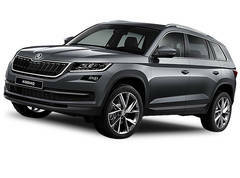 The car also is protected by its Pre-Safe system, which attempts to prevent an accident from happening, by way of braking during an emergency if no actions are taken. Other actions includes the tightening of the seatbelts and the car also emits a stapedius noise to help prepare and protect your ears from collision noise damage in the event of a possible collision. 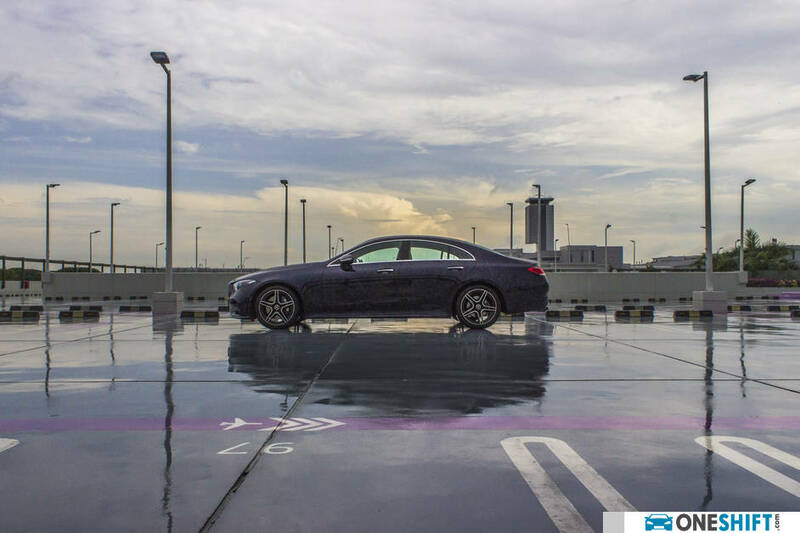 The CLS is the firm and tighter handling car that the more luxurious-leaning E-Class is not meant to be. And it is certainly as much a joy to look at as it is a joy to drive.